I’m going to get real with you. 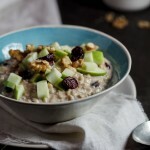 If you are not scrambling to make this right now, we can’t be friends. Why? Because these nachos are everything right now. They are happiness-enducing, colourful and delicious mouthfuls and you will not want to stop eating them. I’m not even lying. Between C and I we finished a massive plate full within a few minutes. It’s just so freaking good. I mean, what’s not to love? 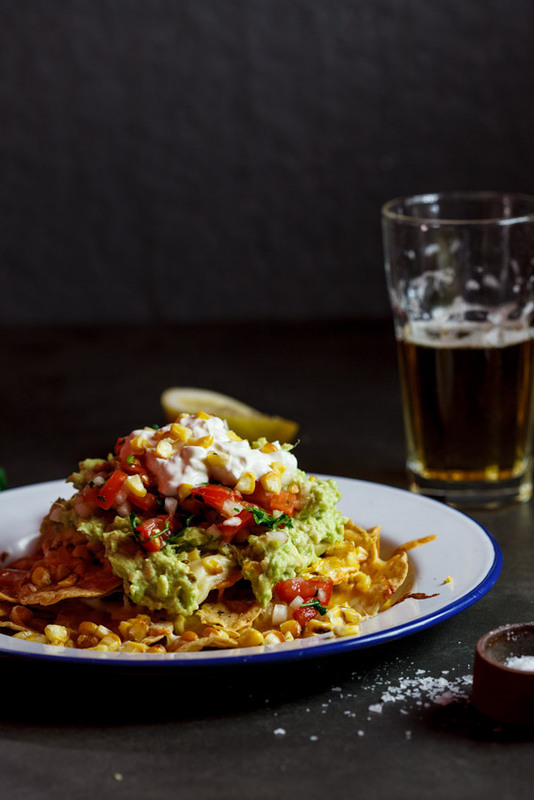 Crisp corn chips topped with oozy, melted cheese and sweet, grilled corn served with creamy guacamole, fresh and zest salsa and cool sour cream. Droooool! 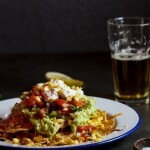 The addition of corn is absolutely necessary as it adds a pop of sweetness against the creaminess of the guacamole and sour cream and the saltiness of the cheese. Of course this isn’t an everyday or even an every week kind of dish. It’s a treat and when I have treats, I do it properly. This also makes for excellent entertaining food. You can make a big oven-tray full for a casual gathering and serve the guacamole and salsa in little bowls so everyone can help themselves. Add a few cold beers and you have an instant party! 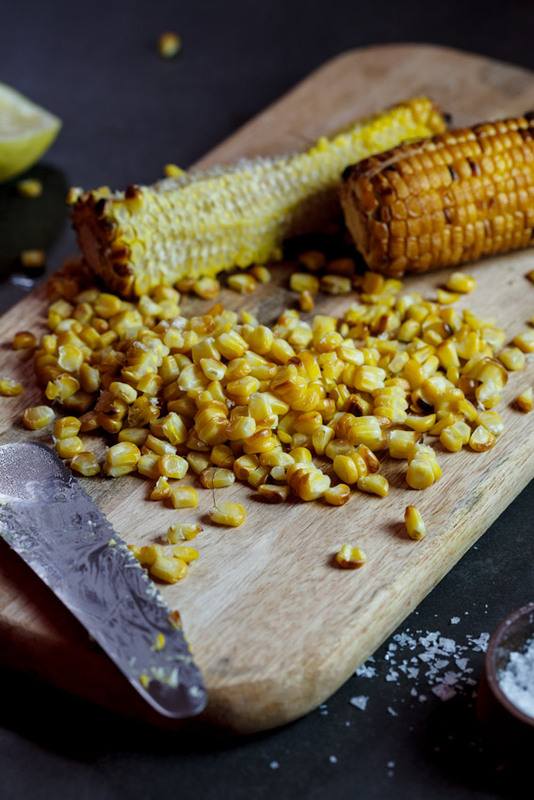 Place the corn chips on a baking sheet and top with the cheese and grilled corn. Place in the oven and allow to bake for 5-10 minutes until the cheese is melted. 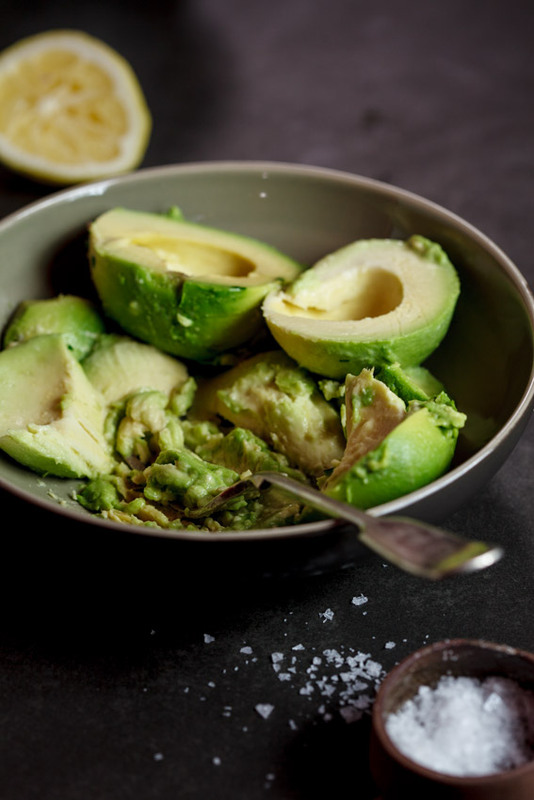 To make the guacamole, mash together all the ingredients and set aside. 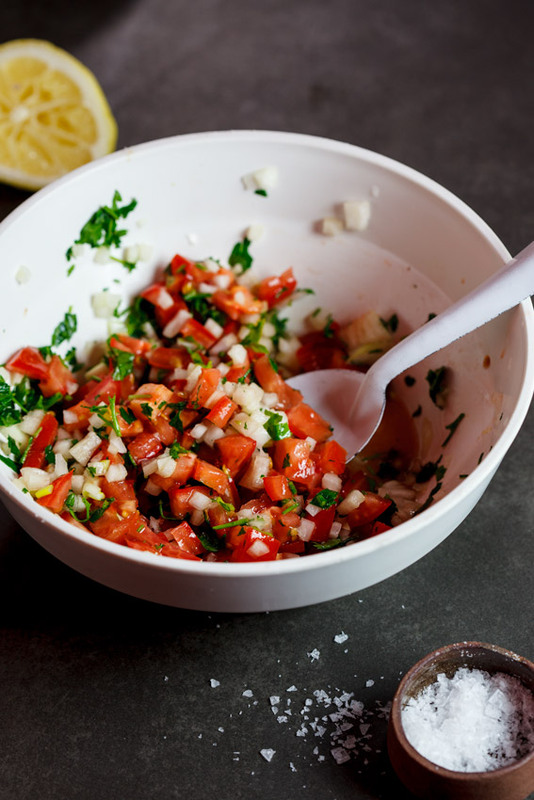 To make the salsa, combine the ingredients and set aside. 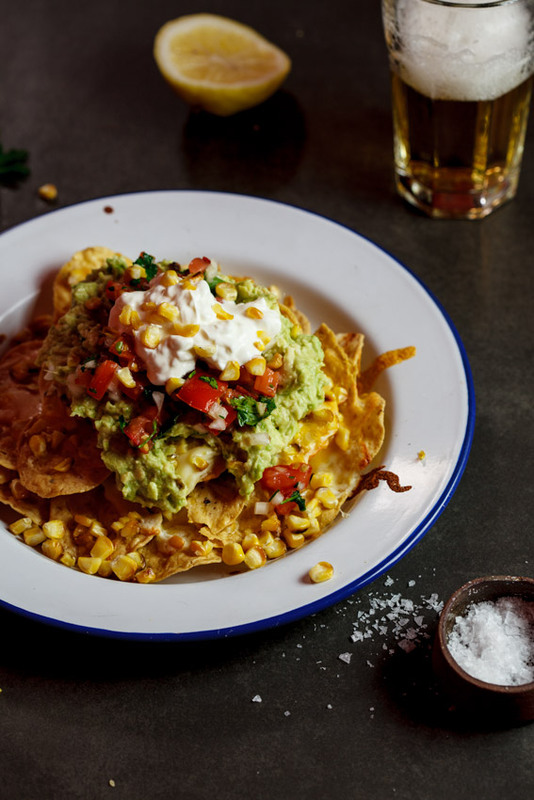 To serve, top the nachos with guacamole, salsa and sour cream and finish with a sprinkle of chopped chilli (if using). These pictures!! 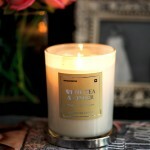 So gorgeous!! And yes, I want to make these RIGHT NOW!